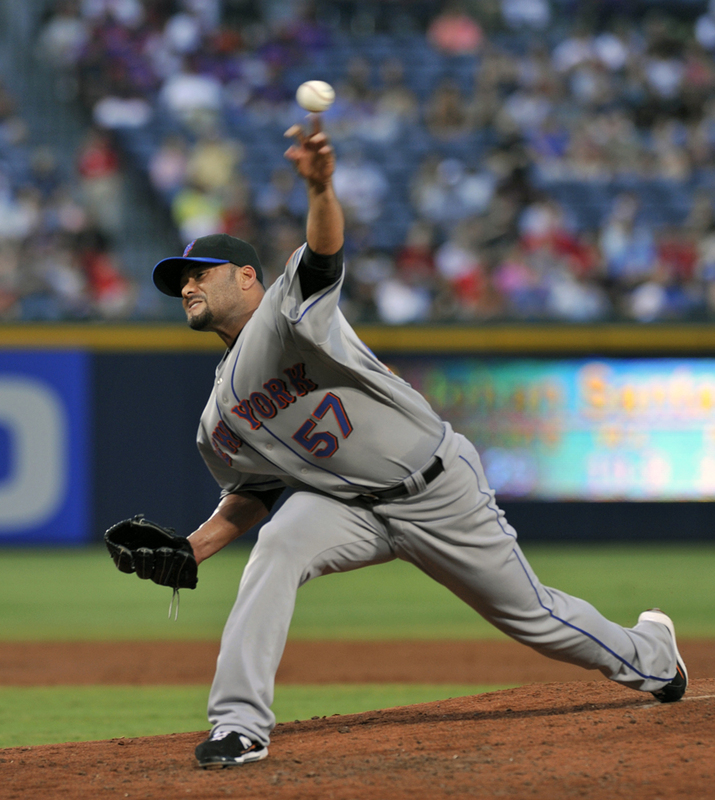 What: LHS Johan Santana to the New York Mets for CF Carlos Gomez and RHPs Phil Humber, Kevin Mulvey and Deolis Guerra. Value: Santana has earned 49 win shares and 14.4 WAR since the trade. Gomez has 30 WS, 4.1 WAR; Humber 13 WS and 3.4 WAR; Mulvey 0 and -0.5. Guerra has not reached the majors. Twins motivation: Avoiding Santana's walk year; secondary motivations, trimming payroll, adding an outfielder. Underlying the decision to trade Johan Santana during the 2007-08 offseason was the minor circus that accompanied Torii Hunter during his 2007 walk year. It seemed to team management that every road trip brought the same story: Where will Hunter play next? And Hunter was only too willing to fuel the speculation. 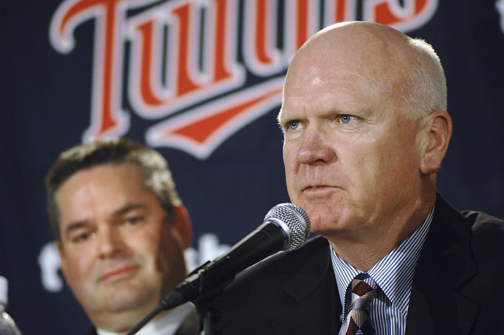 Correctly or not, Ron Gardenhire and Co. felt that was a factor in the team's decline in 2007. When, in the immediate wake of that disappointing season, Santana indicated that he was not likely to re-sign with the Twins, the brass felt it best to trade him immediately. It's an arguable decision. The Twins could have kept Santana for 2008, offered him arbitration and pocketed a pair of draft picks when he left. On the other hand, the media circus that accompanied the winter meetings that offseason, when there was a fresh rumor every few hours, suggests that the issue of Santana's future would have dominated the 2008 season. Just going off the results, however, hanging on to Santana for 2008 might have worked better for Minnesota. Gomez never fully earned Gardenhire's confidence and ultimately lost his starting spot in the outfield to Denard Span. Humber washed out with the Twins and then Kansas City before emerging last season as a respectable starter for the White Sox. Mulvey's career appears to have stalled. Only Guerra remains in the Twins system, and he looks less like a useful piece each year. Theoretically, the four players the Twins got in the Santana trade were more than the equivalent of a (low) first round pick and a sandwich pic. It simply didn't turn out that way. Gomez and Mulvey were more valuable to the Twins in terms of what they got in future trades than for what they did in Minnesota. for the Twins during the past three seasons. Brian Duensing's 2011 season was shipwrecked on right-handed hitters. Righties hit .330/.387/.560 against the southpaw; lefties hit .217/.242./.280. That's taking the platoon advantage to extremes. That massive platoon split has many thinking that Duensing would be better suited to bullpen work, and that was, at one point, the Twins' idea with him. 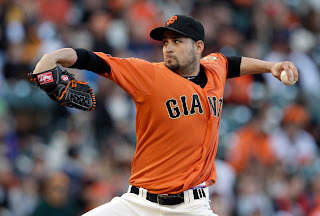 But he fared well in the starting rotation in 2009 and 2010. What went so horribly sour for him in 2011? My guess is that he lost his change-up. The platoon advantage is rooted in pitch movement. A left-hander's breaking balls — curves and sliders — move in on a right-handed hitter, away from a left-handed hitter. (A right-hander's, obviously, move in the opposite direction.) These are pitches that leave the hand coming between the thumb and forefinger. Many lefties with noted change-ups — such as Johan Santana and Tom Glavine — have a tendency for reverse platoon splits. Part of it, no doubt, is that teams tend to sit their marginal left-handed hitters against quality lefty starters, but part of it is that their change-ups move down and in to left-handed hitters, and that is, as a general rule, their butter zone. These pitchers try to get lefties out with fastballs and breaking balls, right-handers with fastballs and change-ups. That Duesning is effective against lefties suggests that he has a good breaking ball; his struggles with righties, which was much worse in 2011 than in the previous season, suggest that his change-up was ineffective. Fix that, I think, and he could still be an useful member of the starting rotation — and that is much more valuable than a LOOGY. What: The Twins sent RHP Matt Garza, SS Jason Bartlett and RHP Eduardo Morlan to Tampa Bay for RF Delmon Young, INF Brendan Harris and OF Jason Pridie. Values: Garza has earned 44 win shares and 11.9 WAR (wins above replacement) since the trade; Bartlett 64 WS and 13.9 WAR; Morlan has yet to play in the majors. Young has earned 52 WS, 1.3 WAR; Harris 19 WS, -0.2 WAR; Pridie 4 WS, 0.3 WAR. The three players Tampa Bay received have earned 108 win shares and 25.8 wins above replacement since the trade; the three players the Twins got earned 75 WS, 1.4 WAR. None of the six remain with the same team. Twins motivation: Plugging outfield holes. When Bill Smith inherited the general manager's job in September 2007, he faced two large and obvious issues: The pending free agency of Torii Hunter and Johan Santana's walk year. Connected to the Hunter issue was that the 2007 Twins had a gaping hole in left field. Since it was quite obvious that the Twins were not about to meet Hunter's price, Smith was looking at two vacancies in the 2008 outfield. Young was an intriguing trade target -- young, strong, he had hit .288 and driven in 90-plus runs as a 21-year-old in 2007. He appeared fully capable of living up to his status as the No. 1 overall pick in 2003. Garza was also a first-round draft pick with intriguing talent. The Twins had a surplus of young starting pitchers and a shortage of usable outfielders; Garza and Young were the obvious cornerstones of the trade. But Young was not only a former first pick but somewhat more accomplished in the majors already. The Rays needed something more -- and that something more turned the trade in their favor. I have always believed, reading between the lines, that Ron Gardenhire was never sold on Bartlett as his shortstop. He was reluctant to play Bartlett and only installed him in the lineup in 2006 when then-GM Terry Ryan gave him no choice by dealing away veteran Juan Castro. In 2007, Bartlett committed a string of costly early-inning errors down the stretch that helped bury the Twins' final chances of getting back into the race. It was the exchange of shortstops -- Bartlett for Harris -- that made this a plus trade for Tampa Bay. Garza for Young is even enough to justify given the needs of the Twins at the time; Pridie and Morlan are essentially irrelevant. But Harris' defensive deficiencies -- which were evident in the defensive metrics at the time -- kept him from becoming a regular with the Twins. And the Twins haven't had a 100-game shortstop season since dumping Bartlett. Neither Young nor Garza have so far truly lived up to expectations. Both were traded within the past year, and there are reports that the Cubs are shopping Garza around. Branch Rickey is known today for inventing the farm system, for his role in breaking the color barrier, for being a driving force behind expansion. In his day, he was also known as a difficult man for players to pry a raise from. You know about Mr. Rickey's dogs after I had mah first good year? 1949, I believe it was, I won 15 and lost only six. Led the league in winning percentage, I do believe. Well, that winter I got back home and told myself, "Preach, you sure are a pretty good pitcher. Now it's time you made some pretty good money." So I set there, awaitin' for Mr. Rickey to send me my contract. And each day I waited, I thought I ought to have a little more. When that ol' contract finally came, I was gonna look for a comfortable sum. Contract never did arrive in the mail. 'Sted, down the road one sunny winter day come Mr. Rickey himself, driving a station wagon and makin' a lot of dust. He pulled up and climbed out and joined me on the porch. The two of us set there a while, just rockin'. Then Mr. Rickey says, "Preacher, you're a fine pitcher. You're a wonderful pitcher." I thank him, and we're still rockin'. "Now Preacher," Mr. Rickey says, "I don't know what to do. I'm so proud of you, it's like you were my own son." I thank him again. "Preacher," he says, "what should I pay you? It's like paying my own son. But look, I brought you a present." Just then a couple of hunting dogs jump out of the back of the wagon. "They're for you, Preacher," Mr. Rickey says. I sets to admirin' them, and Mr. Rickey gets up, and reaches in a pocket and hands me a paper. "By the way," he says, "here's your contract. The figure's blank. Fill in what you think is right, son." After he'd gone, I commenced thinkin' what a fine thing he'd done and how much trust he put in me and I took that original figure I had and knocked a thousand dollars off it. Day or so later I go hunting. I run the dogs up and down the hills and bagged me a mess o' quail. Got back, thought some more. Knocked off another $2,500. Went hunting again. Had the best day ever. Brought the dogs back into the yard, locked the gate and went out on the porch and commenced more thinkin'. All the great huntin' an' the great dogs and Mr. Rickey's trust made me ashamed to be greedy. I took that contract and filled in a number $10,000 below my original figure. I got up offa the porch and walked down to the corner and put the signed contract in the mail. When I got home, those two huntin' dogs had jumped the fence and taken off. They didn't stop running till they got back to Mr. Rickey's house in Brooklyn. Gene Glynn as a coach for the San Francisco Giants. A bit of a surprise, and a bit of a hometown pick -- Glynn is from Waseca, which (for those of my readers unfamiliar with southern Minnesota) is within the Free Press coverage area, and was a multi-sport star at what was then Mankato State and is now Minnesota State, Mankato. 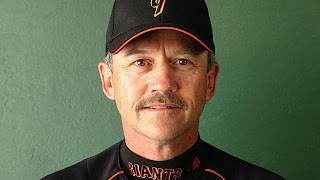 He's been involved in professional ball in one way or another since college -- minor league player, minor league manager, major league coach (13 seasons, for the Expos, Giants, Rockies and Cubs; he followed Don Baylor and Felipe Alou from job to job), scout. His resume is pretty typical of a baseball lifer -- a variety of jobs with a number of organizations. There were a number of names publicly associated with the opening, and Glynn's was not among them, which is why I called his selection a surprise. While I'm doubtless biased in his favor, I would think his varied background will be a plus. He knows minor league life; as a scout the past five years for Tampa Bay, he should be a good talent evaluator; with 13 years of coaching in the majors, he should carry some credibility with his charges. One thing's for sure: Rochester's tired of losing. The Red Wings have lost 90-plus games each of the last two seasons, and Tom Nieto, the former manager there, got the ax in large part because the Twins value the affiliation with Rochester and don't want to lose it. It may be the minor leagues, and the theoretical emphasis is on development -- but Glynn is expected to win games too. It would certainly help his cause if the big league team doesn't need to use the disabled list so blinking much. History says you might want to have somebody with (closing) experience, and usually people pitch themselves into that situation. Granted, (Glen Perkins) had a very good year; he just doesn't have the experience. The word "might" qualifies that statement enough that I won't call it absolute rubbish. But rubbish it is. A truly accurate reading of the history of bullpens would be more heavily on the side of inexperience. As Aaron Gleeman immediately pointed out on Twitter, Joe Nathan had one career save when the Twins made him their closer. 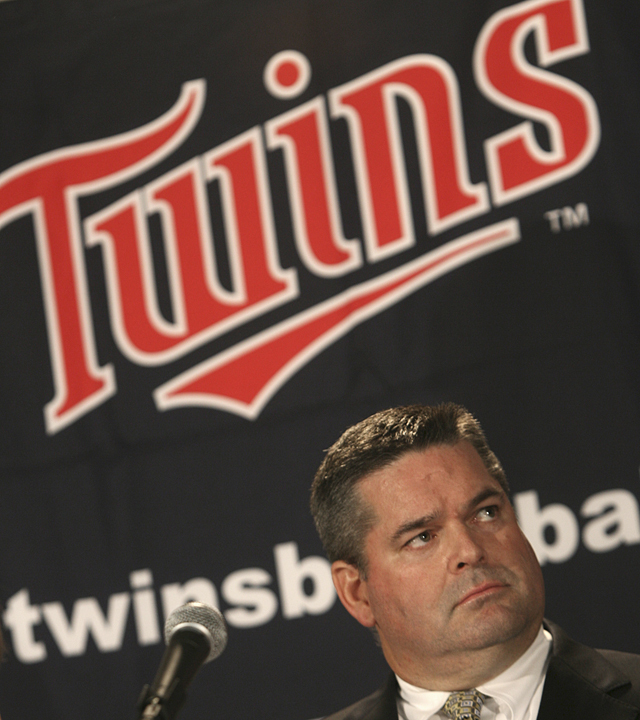 His predecessor in the job, Eddie Guardado, hadn't been a closer before the Twins handed him the job. Rick Aguliera had seven career saves when Tom Kelly converted him from starter to closer. Now, I don't have a problem with deciding that Perkins is more valuable pitching in the seventh and eighth innings than he would be locked into the ninth-inning job. (I think he is.) And it may be the Twins don't trust Perkins sufficiently to hand him the glory job in November. They may think it better to make him earn it by outpitching somebody this spring. That somebody may yet be Matt Capps. Nobody's going to argue that Capps had a good 2011, but Ryan has suggested that his problems stemmed from pitching through inflammation in his wrist. Capps' new status as a "modified Type B" gives the Twins some incentive to let him go, and much of the Twins' Internet community is eager to be rid of him. 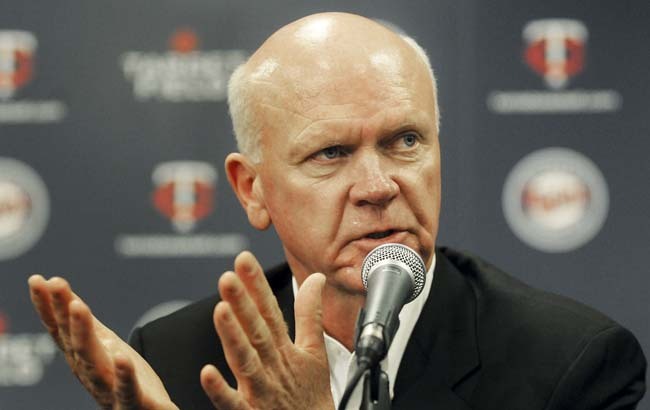 But reading between the lines, I think Ryan, Ron Gardenhire and company would prefer to keep Capps. And I'm fine with that. I don't want the closer job to be a priority. I want bullpen depth to be a priority. Gardenhire's history with bullpens -- this is an accurate reading of history -- tells me that one closer and one strong set-up guy isn't enough. He needs a closer and three guys (at least three) for the seventh and eighth innings. If he has too few, he's either going to lose games with poor relievers or get his useful ones hurt through overwork. If the Twins add a "proven closer," they're a step closer to having that depth coming into camp than they would be if Perkins is the leading candidate to close. Trades are rooted in a variety of motivations. Some are made with an eye to the future; some are made with the intention of winning now. Some are made out of financial necessity; some are made to add talent. Some are made to open a space for a prospect, some are made to fill a lineup gap no prospect is ready to fill. 40 trades in four years. 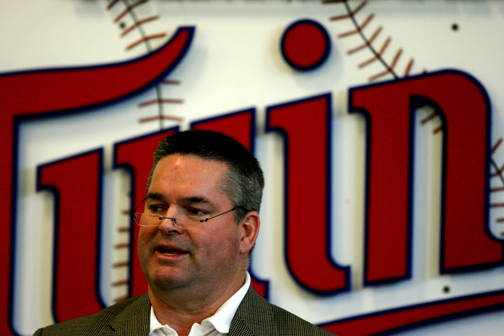 At one point or another in his four years as the Twins general manager, Bill Smith made deals for all those reasons. Using Baseball Reference as a source, I compiled a list of 40 transactions Smith made that involved exchanging a player for either another player or cash. Releasing a player (Juan Rincon, 2008) doesn't count; the Twins received nothing for him. Losing a ranked free agent and receiving draft picks as a result (Jesse Crain, 2011) also doesn't count; the Twins didn't pick his destination. Signing a free agent (Jim Thome, 2010) doesn't count. Claiming or losing a player on waivers (Jim Thome, 2011) does. My criteria is that it had to be an active transaction between two teams. Some of the 40 trades were obviously big deals -- the Santana trade, for example. Some were exceedingly minor -- waiving Bobby Korecky. Some look minor but may yet turn into something valuable for one of the the teams (Mark Hamburger for Eddie Guardado, 2008). In future posts, I'll evaluate Smith's trades, year by year. I'll evaluate them by identifying what the motivation was behind the deal, and by how well the trade met the desired effect. The biggest trades will get individual posts; the minor ones will be lumped together. I will cite, as overall stats, both win shares and Baseball Reference's version of wins above replacement. One more point about this project: It is inevitably flawed. Nobody on the outside can fully know what the options were. We don't know what possible trades went unmade. I will not condemn the Santana trade on the basis that a competing offer was better; we don't know what, if any, competing offers were made. What we know is what was done. That's all I have to work with. And that can be complicated enough. 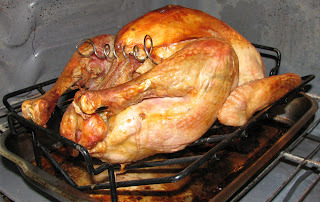 Time for my annual Thanksgiving post with a photo of a long-since devoured bird. I am grateful that the team of which I am a fan is a chronic contender with stable, sober, competent management, grateful that the team injects drama into my life through what it does on the playing field rather than the clubhouse, courtroom or Internet scandal sites. Some of that is still relevant. After a 99-loss season and a change of general managers, some of it isn't. As difficult as the 2011 season was for Twins fans (not to mention the Twins players and management), I remain thankful for all the pleasure the game of baseball has given me over the years, and for the promise of more to come. Twins a compensatory draft pick if he signs elsewhere. Wednesday was the deadline for teams to offer arbitration to their ranked free agents. The Twins have three ranked free agents: Michael Cuddyer, a "modified" Type A; Jason Kubel, Type B; and Matt Capps, "modified" Type B. These designations, as I understand it, are useful for this offseason only. A straight Type A -- Albert Pujols, for example -- offered arbitration will cost a signing team draft picks. Six of the free agents originally listed as Type A -- including Cuddyer -- are now in a new category. If they are offered arbitration and sign elsewhere, the jilted team gets two picks, but the signing team doesn't lose picks. This figures to greatly enhance interest in Cuddyer. Under last winter's rules, a team signing Cuddyer was essentially trading a high draft pick to the Twins. Now the Twins would still get the picks, but the new team isn't losing anything. The Twins continue to voice interest in retaining Cuddyer, but this development makes it more likely that he'll sign elsewhere. 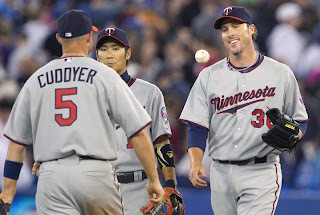 Bottom line for the Twins: They offered arbitration to Cuddyer and Kubel, did not to Capps. If all three sign elsewhere, the Twins will reap four extra draft picks in June, giving them six of the first 40 or so picks in the draft. The Ryan Doumit signing became official Wednesday. Let's look at how Twins draftees of the past half-decade -- the men drafted and/or developed by the organization under Bill Smith -- have fared. Keep in mind: the more recent they are, the less certain we can be about them. The early drafts are the ones that should have produced major league and Triple-A players by now. 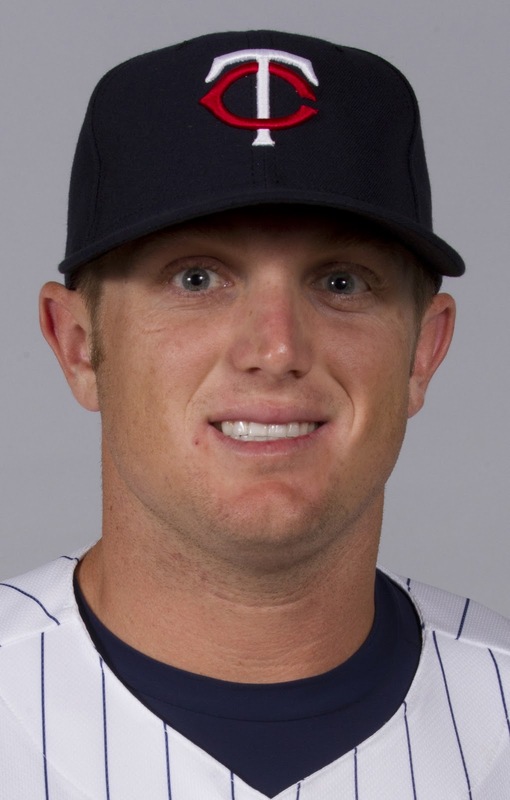 2006: Chris Parmelee was Minnesota's first round pick, Joe Benson their second rounder. Both were taken out of high school. We saw quite a bit of each in September, and Benson in particular needs more minor league time. They may not have developed as quickly as we'd like, but there's still promise there. Other notables: Danny Valencia (19th round), collegian, is the Twins third baseman. LHP Tyler Robertson (3rd) has had arm problems, is now seen as a bullpen possibility, not as a starter,but is still viewed highly enough to be added last week to the 40-man roster. RHP Jeff Manship (14th) was a collegian who has reached the majors but is not an impact player. 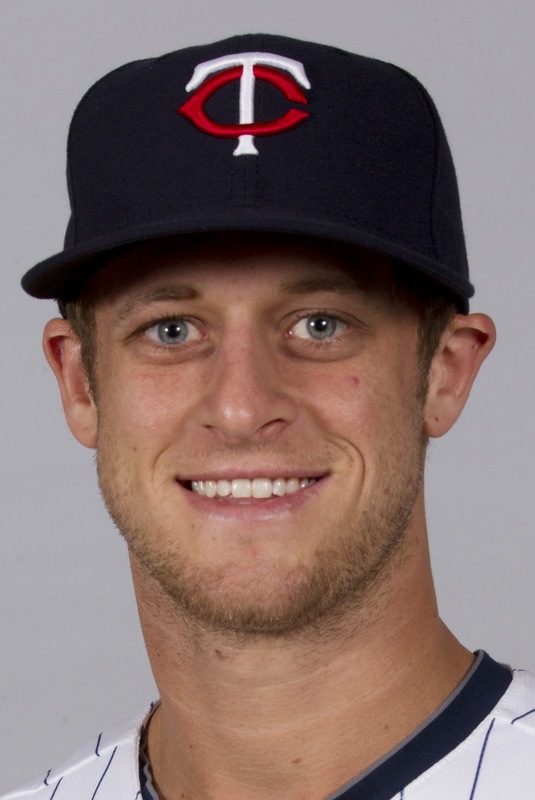 Brian Dinkleman (8th) re-signed with the Twins as a minor league free agent. 2007: Ben Revere, first round pick, figures to be a regular in the major league outfield in 2012. You know the story there: His tools are either outstanding (speed, contact hitting) or very weak (power, throwing arm). Angel Morales (3rd) is a Puerto Rican outfielder who has displayed great talent but has been stalled by injuries. He was not added to the 40 last week and is eligible for the Rule V draft. The 2007 draft is heavy on catchers named Daniel: Danny Rams (2nd round), Danny Lehmann (8th), Dan Rohlfing (14th). Rams has power but has contact issues; Lehmann has defensive skills and is the closest to getting to the majors but figures to be a Drew Butera-type backup. 2008: The first draft of the Bill Smith era, and the first conducted by scouting director Deron Johnson, featured two first round picks and a supplemental first rounder. Aaron Hicks, outfielder, has made slow progress that included two seasons in low A ball. Scouts still love his tools, and his plate discipline is outstanding, but the switch-hitter continues to fail from the left side. The Twins are being outwardly patient with that, but it's becoming an issue. Carlos Guterriez, college pitcher, has yet to master a secondary pitch to go with his high-quality sinker and had some arm problems late last season. He may be a bullpen factor this season. He was added to the 40 man roster. Shooter Hunt, college pitcher, lost the strike zone completely in his second season and hasn't gotten it back enough to be reckoned a prospect. Others of note: Tyler Ladendorf, college shortstop (2nd round), was traded to Oakland in 2009 for Orlando Cabrera. ... Kolten Wong (16th) went to college; the infielder was a first-round selection last summer and is thought to be on a fast track to the majors. 2009: Kyle Gibson slipped to the Twins because of injury concerns. He figured to be a rotation factor in 2012, but instead will spend it rehabbing from Tommy John surgery. also plays in the outfield. Supplemental rounder Matt Bashore also has had ligament replacement surgery. Billy Bullock (2nd) was traded for Scott Diamond last spring. Brian Dozier (8th) may wind up in the Twins infield by midseason. Chris Herrmann (6th) may be the best catching prospect in the system, with sterling OBPs; he finished 2011 in Double A. Eric Decker (27th) didn't sign, is now playing wide receiver for the Denver Broncos. 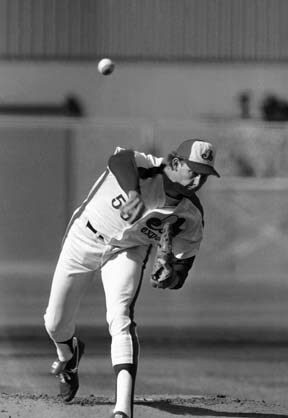 As I noted at the time of the draft, the Twins drafted heavily early that year on power arms with injury concerns. The risk so far has not been rewarded. 2010: Alex Wimmers, college pitcher, lost most of 2011 to wildness issues that appeared to be corrected late in the season. Control was his strong suit; if that isn't back fully, it was a lost pick. Niko Goodwin (2nd) is a raw high school talent a long, long ways away. He's a shortstop now, but that may change. Eddie Rosario (4th) had a big year in the Appy League playing center field, and the Twins, always long on outfielders and short on infielders, are testing him at second base. 2011: Levi Michael (1st round), Travis Harrison (supplemental) and Hudson Boyd (supplemental) all signed at the deadline and didn't play in the minors last season. Harrison Boer (2nd) looked good in the Appy League, but as a college pitcher should. winner, but the Most Valuable Player to boot. 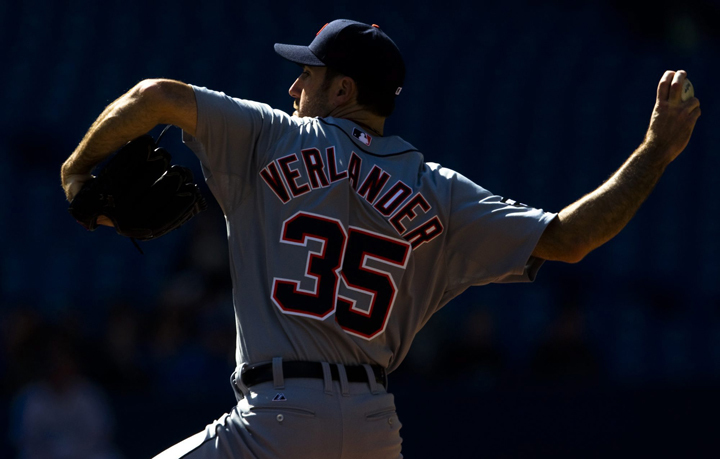 Justin Verlander was named American League Most Valuable Player on Monday. He is the first starting pitcher to win an MVP since Roger Clemens in 1986, a year that seems recent to me but is a quarter century ago and thus a lifetime ago to at least some of you. 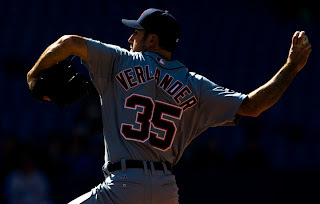 That Verlander is even eligible for the honor, much less the winner, is rather controversial in some circles. Pitchers, the argument goes, have the Cy Young Award; MVP should be limited to position players. The rules, however, specifically say that pitchers are eligible. Eligible, but -- at least since 1969, when the mound was lowered and the strike zone redefined -- seldom victorious. No National League pitcher, starter or reliever, has been voted MVP since Bob Gibson in 1968. Ignore the three relief pitchers who've won the AL award -- all of which were mistakes by an electorate that hadn't begun to come to grips with the meaning of the save statistic -- and only two AL starters (Clemens and Vida Blue in 1971) have taken the honor since Denny McLain in 1968. Verlander was helped some by the flaws in the other candidates' arguments. Jacoby Ellsbury's team faded badly in September. Jose Batista -- seen by the sabermetric community as the best player in the league -- fell off in the second half, and his team was never in the race. Curtis Granderson led the league in runs and RBIs and bopped 41 homers, but his rate stats weren't great. 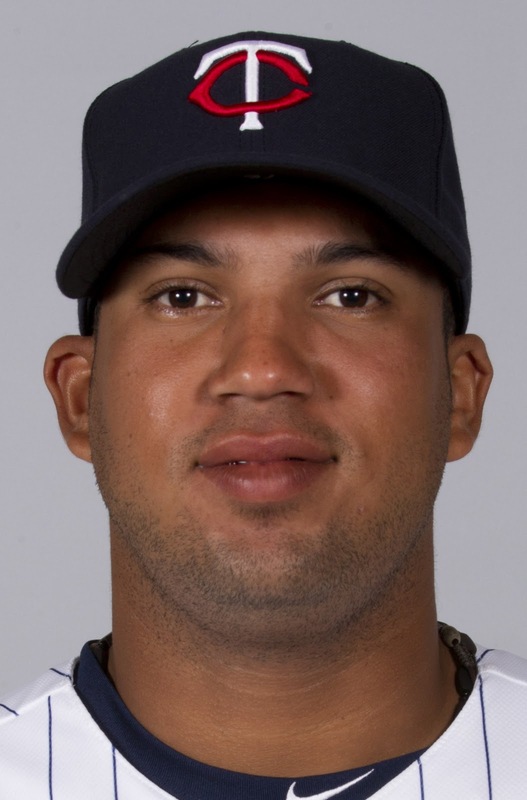 Miguel Cabrera, Verlander's teammate, probably crippled his chances with his DWI arrest before spring training. So Verlander emerged from a divided field. There is a legitimate reason to be skeptical of a modern pitcher's MVP candidacy, and it has nothing to do with the Cy Young Award. It has to do with workload. Blue worked 312 innings in his MVP season. McLain had 336, Gibson 304. Sandy Koufax had 311 in his MVP season (1963). On the other hand, Clemens had 254 in his MVP year, Verlander 251. Two-hundred fifty innings is a lot in today's pitch count era. But the difference between 300 innings and 250 is significant. That's Alex Burnett's entire workload in 2011. Koufax worked 300-plus innings in three seasons, and in each he faced 300-plus more batters than Verlander did this season. Were I a voter, I'd have an easier time voting for a pitcher with a 1960s-type workload than a 2000s workload. I'm not complaining that Verlander won, but I wouldn't have complained if Ellsbury, Batista, Granderson or Cabrera had either. his first season back after ligament replacement surgery. Adios to No. 36, who has agreed to what is being reported as a two-year deal with a third year option, $14.5 million guaranteed. The Rangers are reported to have told Neftali Feliz that he's moving to the rotation, taking the spot being vacated by free-agent C.J. Wilson. Nathan inherits the closers job for the team that represented the American League the past two years in the World Series. I expected Nathan to return, and I'm sorry to see him move on. But I'm not despondent about his departure. He turns 37 on Tuesday, and even in his much-improved second half he allowed three homers in 23 innings and had an ERA of 3.91. Maybe he can still return to the fabulous level he maintained for his first six years with the Twins, but the odds are against it. 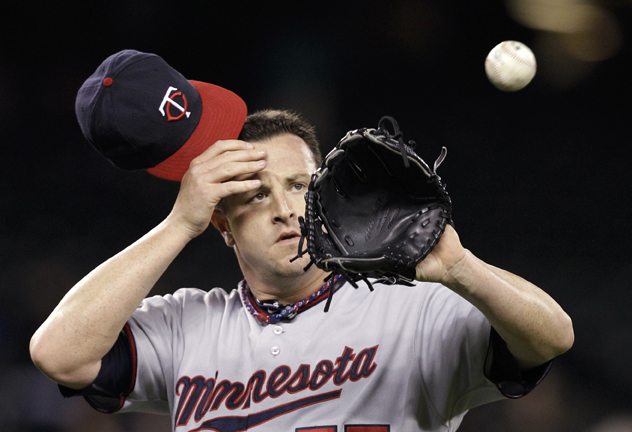 The next question is: How will the Twins rework their bullpen for 2012? This will be grist for many a future post, but my off-the-top-of-my-head idea is that if the Twins are serious about making Brian Duensing a relief pitcher, they might as well tab Glen Perkins for the closer job. Perkins, Duensing and Jose Mijares would make a very deep lefty bullpen corps, and I don't know that they'd get proper use out of them if they're all strictly LOOGYs. I'd rather see the Twins put their discretionary payroll money into something other than a "proven closer." dried up during the Bill Smith era. There is, of necessity, a lot of collaboration and delegation involved in running a major league franchise. That is perhaps most obvious in the field of player development. No one person can handle the scouting chores for 50 rounds of the draft, no one person can scour the Dominican and Japan for free-agent talent, no one person can run five minor-league affiliates, no one person can tend to the details of teaching a high-school fireballer a change up or converting a college shortstop to second base. General managers have to delegate all that. It doesn't matter if the GM is Bill Smith or Terry Ryan -- he isn't directly running the amateur draft in June. That's the scouting director's job. The GM has laid out for the scouting department what the organization needs, what their budget to sign players is, what the priorities are -- and then it's up to the scouts to find and draft and sign that talent, and it's up to the minor league staff to develop it. Bill Smith inherited his player development team. It wasn't precisely the team Ryan had -- scouting director Mike Radcliff moved into a different post, and Deron Johnson became scouting director -- but there was a great deal of stability, and one can assume that as the 2007 transition was planned that Smith had some say in who landed in what jobs. We do know that the Twins under Ryan were very good at filling holes and fixing problems by promoting from the minor leagues. And we also know that didn't work in 2011. The Twins are widely viewed as short on talent in the upper reaches of the minors. It shows in the records at Triple-A Rochester, which has lost 90-plus games each of the last two years. The Twins have drafted in the bottom half for about a decade. (There was one year in the '00s in which they drafted 14th of 30 teams). The prime picks are gone by the time they get to select; those that do slip to the bottom half of the first round generally have "signability" issues. The Twins under Smith have actually been more willing than in the past to bust "slot" constraints to meet the price of draftees. They broke with the commissioner's office's recommended spending to sign Kyle Gibson in 2009 and all three of their top picks in 2011. Willingness to spend in the draft wasn't the issue during the Smith era. The Twins have long been big on signing players in what might be described as "underscouted" regions of the world. They were one of the first to establish a significant presence in Venezuela and Australia; they are the leaders in signing players out of Europe. 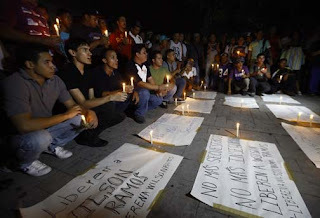 But they haven't gotten much out of the Aussie and European ventures, and, as noted during the Wilson Ramos kidnap drama, they (and most other organizations) have felt forced to pull back from Venezuela. The Smith regime has established a presence in the Dominican Republic, a heavily scouted nation that produces a lot of talent, and Miguel Sano is a prime piece. But it will take a while for the Dominican venture to bear major league fruit. This is an area in which the Twins have really fallen off. Ryan's reign was marked by a number of shrewd pick-ups of talent from the lower levels of other systems: David Ortiz, Jason Bartlett, Cristian Guzman, Joe Mays, Francisco Liriano. All were in A ball when the Twins acquired them; all became regulars. Kevin Towers, then the general manager of the Padres and now with the Diamondbacks, once said that the problem with trading with Ryan was that "He knows your farm system better than you do." For whatever reason -- luck or warier trading partners or a slippage in scouting -- that knack has left. The Twins haven't, to be sure, been in the business of trading veterans for kids very often in the past decade, and that's almost certainly part of why that aspect of player acquisition has dried up. Baker Bowl, a ramshackle dump of a ballyard in Philadelphia for much of the first half of the 20th Century, was probably the worst major league park since the dawn of the concrete-and-steel permanent structure. It's most dominant characteristic: A giant right field wall -- 280 feet down the foul line, just 300 feet in right center -- covered with tin that made a distinctive sound when balls ricocheted off it. Which, of course, happened frequently. So ... a sweltering day in Philadelphia in the 1930s, and the lowly Brooklyn Dodgers are in town to face the even more lowly Phillies. The key characters in our tale are Dodgers pitcher Walter Beck, outfielder Hack Wilson, and manager Casey Stengel. Wilson is a fading star at this point, or perhaps more accurately a soused star. The holder of the single-season RBI record, Wilson is in the process of drinking himself out of the league, out of baseball, out of life itself. He is suffering through this game as a result of the night before and living for the night to come. Beck's pitching prowess can be summed up by his nickname: Boom Boom. That's how he's listed in the encyclopedias: Boom Boom Beck. He wasn't good, but (with the help of WWII) he lasted a long time. Boom Boom is living up to his nickname on this afternoon, and it occurs to manager Stengel that perhaps one of his colleagues could fare better against the Phillies. The pitcher disagrees. The two begin to argue on the mound about it. Out in the outfield, a weary Wilson sits down and nods off. Out on the mound, Beck, infuriated by Stengel's evaluation of his performance, suddenly whirls and fires the ball into right field. The ball clatters off the tin, startling the dozing Wilson awake. Hack jumps up, expertly plays the carom (he's had lots of practice that afternoon) and fires a strike into second base. Stengel eyes the performance and mutters: Best throw he's made all year. The Twins had a fairly busy day Friday, even if the lead item isn't official yet. 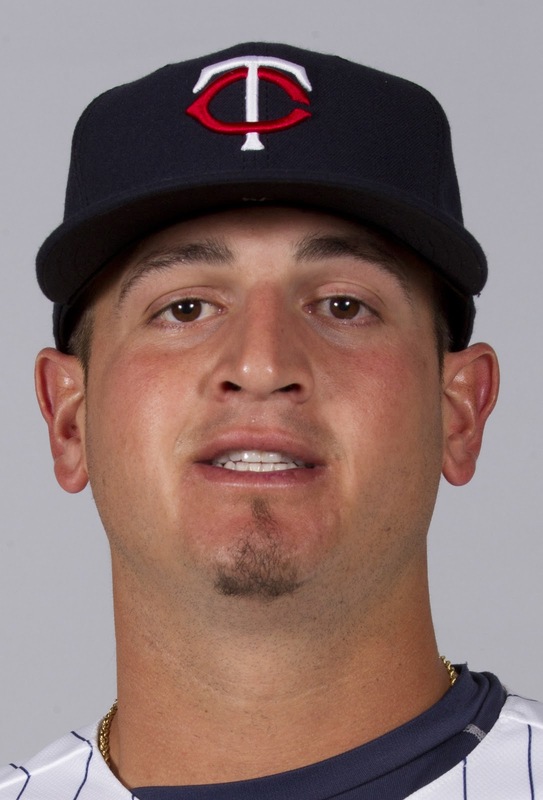 Ryan Doumit has agreed to a one-year deal with the Twins (this according to his agent), reportedly for $3 million plus performance bonuses. He's got to pass a physical before it becomes official. I was skeptical to critical of the Jamey Carroll signing. I'm far happier with this move. Doumit is a flawed player. His defense is marginal to poor at any of his three positions, he's made regular trips to the disabled list for a variety of injuries -- including (shudder) concussions. He's a switch hitter, but he's been a markedly better hitter left-handed than right, which doesn't help balance the Twins lineup much. And that last raises a roster issue. Let us say that Justin Morneau remains primarily a first baseman, that Joe Mauer is indeed a 130-plus game catcher, and that Doumit is the primary designated hitter. Is Ron Gardenhire willing to do what Jim Leyland did in Detroit last season -- carry two catchers and use one of them as his DH? I doubt it. 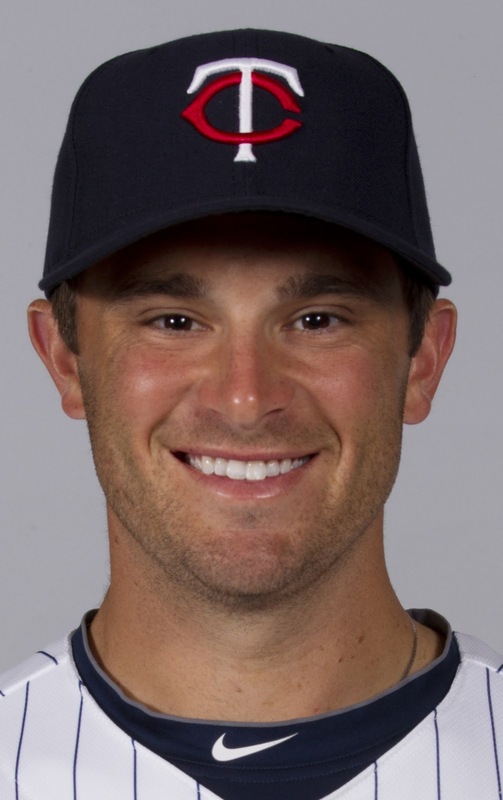 If Doumit's to be the regular DH, I suspect Gardy will carry Drew Butera so as to have a legitimate catcher available on the bench. This may well be a moot point. Morneau may be the primary DH in hopes that limiting his activity will avoid a repeat of last summer's season-ending concussion. It's odd, but Butera's chances of remaining on the active roster may hinge on Morneau's health. The Twins also added three players to their 40-man roster from the minors -- outfielder Oswaldo Arcia, right-handed pitcher Carlos Gutierrez and left-handed pitcher Tyler Robertson -- and outrighted RHP David Bromberg to Rochester. Seth Stohs is unhappy with the Bromberg demotion. I don't think it's as crazy as he thinks it is. Bromberg was added to the 40 last winter, so when he was sent to the minors in spring training they burned his first option. He broke his arm early in the season and wound up with all of 42 innings pitched. If he wasn't ready for the majors last spring, he's not going to be ready this spring -- and if he remained on the 40, they would have burned his second option when he got sent back to the minors. He cleared waivers, so he's unlikely to get nabbed in the Rule V draft. Bromberg has reason to be unhappy that the Twins have stopped his option clock, but it hardly means the Twins no longer take him seriously as a prospect. It merely extends their control of his contract. When the Doumit deal becomes official, the Twins will have 38 players on the 40. Two slots to play with this winter. 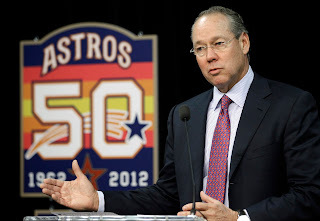 The Houston Astros will move from the National League to the American League. This will result in two leagues of 15 teams each and five teams per division. It will also result in year-round interleague play. The playoff field will be expanded to five teams per league, with a one-game playoff between the wild card teams. And a report, at this point not confirmed publicly by either side, that a new collective bargaining agreement has been reached between the players union and the owners. Details expected on Monday. Taking the last one first: The NFL had a lockout this past spring and summer that threatened the season. The NBA is has its lockout and appears unlikely to have a season. Baseball's labor situation is peaceful. A bit contentious, sure, but peaceful. Why is baseball different today? Because of 1994. The NFL and NBA sought to break their unions (and succeeded, as did the NHL about eight years ago). Baseball tried in 1994 to break the MLBPA, and failed. The players had the nerve to pick the timing of the work action and picked the time when they had leverage -- in midseason. In the other leagues, it was the owners who decided when and how the disputes would escalate -- in the offseason, after the championships were decided. The 1994 strike damaged the game financially for a few years, and it scarred both sides badly enough that nobody involved wants to see it happen again, but baseball has largely recovered from the damage. As long as there's sufficient institutional memory, it won't happen again. 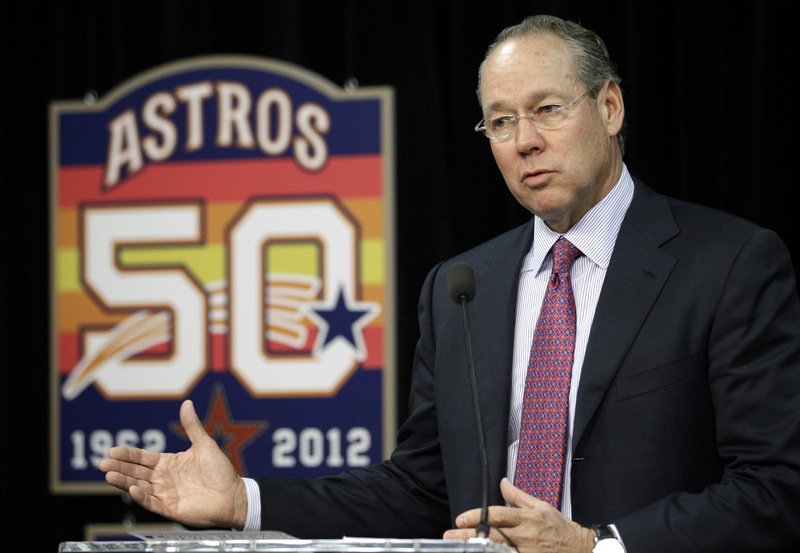 Baseball is our only major sport without a "salary cap." It also seems to be doing quite well financially. This appears to be part of the labor deal. The players dislike the current uneven divisional set up (the AL West now has four teams, the NL Central has six), and it's blindly obvious that the current playoff field devalues winning a division championship. LaVelle Neal of the StarTribune said in his blog (paywall, no link) that baseball has come up with solutions in search of a problem. I believe he is reacting rather than thinking. Year-round interleague play? I'm not a fan of interleague play at any time -- I'd rather dump it altogether -- but that ship sailed long ago. Neal's complaint that interleague games in September will distort the pennant race is silly. A game in September is worth exactly as much in the standings as one in June. There's just less time left in which a trailing team can make up ground. I would think it less disruptive for an AL team with a regular DH to deal with taking him out of the lineup for one series every two months or so than to have to do it for a solid week. LVN suspects the one-game playoff is intended to re-create annually the drama of the final day of the 2011 season. It's actually been on the table for more than a year; 2011 had nothing to do with it. A one-game playoff between wild-card teams is preferable to a three-game series because of the schedule. A three-game series would force the division winners to sit around for the better part of a week. A one-gamer also emphatically underlines the purpose: To reward teams for winning their division. Again, I'd prefer the old system, in which there was one pennant winner in the league who went straight to the World Series. That ended in the 1960s, and it ain't coming back. This plan isn't perfect. It's better than what we've got. 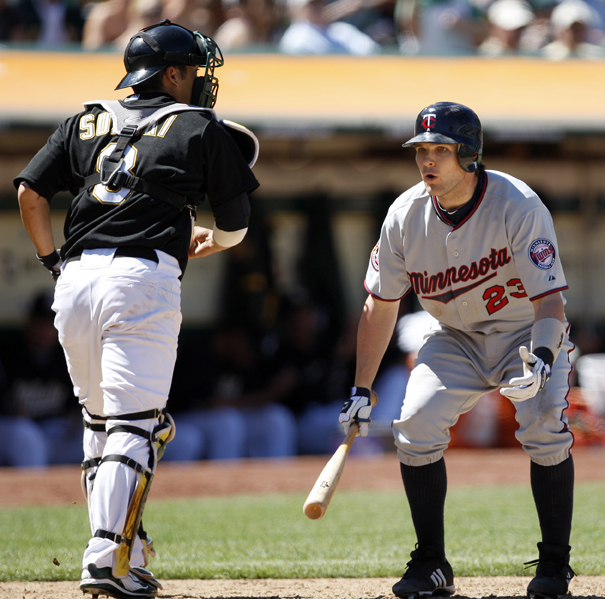 The Twins last month dropped Phil Dumatrait from their 40-man roster, making him a minor-league free agent. 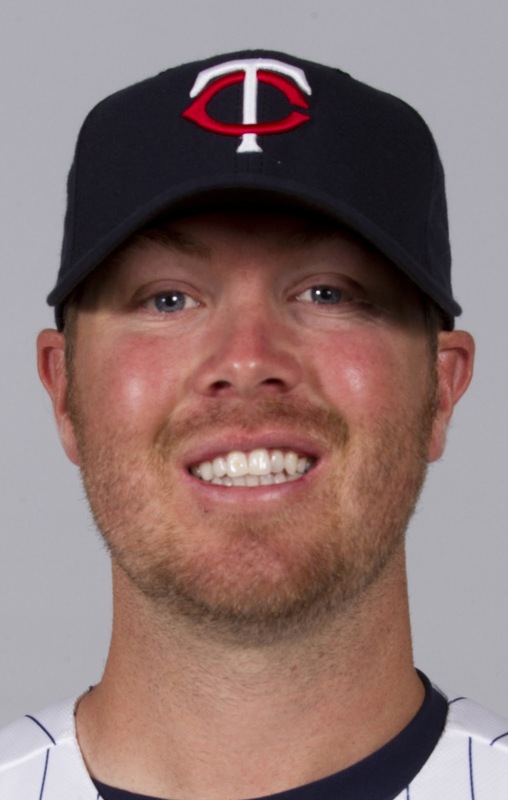 It would appear that the lefty found nobody willing to sign him to a major league deal, so he re-upped Wednesday with the Twins on a minor league deal. Joe Christensen says Dumatrait enjoyed his time in Minnesota. By that I assume he means Dumatrait enjoyed spending most of the season in the majors. The Twins will be best served, to be blunt about it, if the pitching staff does well enough and stays healthy enough that Dumatrait spends all of 2012 in Rochester. Trevor Plouffe is to be an outfielder, and not a middle infield factor. 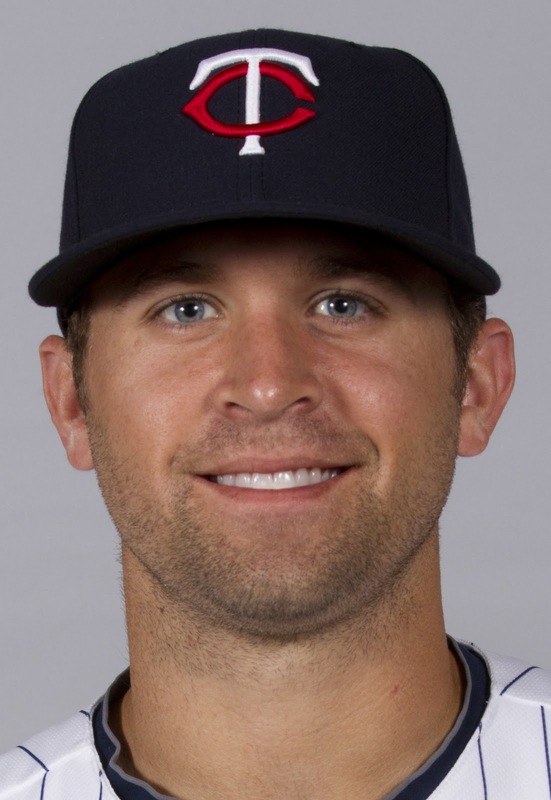 Brian Dozier, who had a very good 2011 split between High A (Fort Myers) and Double A (New Britain) followed it up with a good stint in the Arizona Fall League, but the Twins aren't likely to push him to the majors with just a half-season above A ball. Which means that as things stand, the middle infield figures to be made up of Carroll, Alexi Casilla and Tsuyoshi Nishioka. The Twins are hoping that Nishioka's struggles in 2011 was based on his leg injuries and that a sound Nishi will be a better Nishi. But they're not pinning their hopes on him, as they did in 2011. The three of them -- Carroll, Casilla and Nishioka -- figure to compete during spring training for the two regular jobs, with Luke Hughes and Dozier the dark horses. I'm not high on any of them as a shortstop right now. Nishioka can be better in 2012 than he was in 2011 and still be south of major-league quality; Casilla has never produced consistently; and Carroll is a 38-year-old utility man. I figure by midseason there will be an obvious opening for Dozier, and he'll have a bit more experience under his belt. Scott Boras, baseball's most renowned/notorious player agent, was roaming the site of the general managers meeting this week even before the GMs arrived, and he apparently rehearsed his pitch for two of his clients on the Star Tribune's Joe Christensen. The clients in question, Pudge Rodriguez and Jason Veritek, are a couple of faded stars now looking for a backup gig someplace. The Twins are looking for a No. 2 catcher who'd be an upgrade on Drew Butera, so theoretically there's a fit there. Theoretically. I'm not trying to needle Joe C. for taking the notion of either with the Twins seriously; I did a post on the same possibility recently. I am wondering what the point would be for the Twins, however. Terry Ryan told Christensen that Joe Mauer's goal is to catch 130-plus games in 2012, and Mauer is Plan A. If all the Twins need is some one to handle the other 32 -- the equivalent of catching Carl Pavano's starts, basically -- Butera is sufficient, and probably cheaper than either of Boras's clients. The problem, of course, is that Mauer didn't catch even 50 games in 2011, and you don't want to have the weak-hitting Butera catching 110-120 games. The Twins want to have a superior Plan B, somebody they can turn the job over to if need be. And at this point to their careers, I don't think either Rodriguez or Veritek fits that bill. Once a week, OK; five games a week, I don't think so. But then, that's the deal with backup catchers. They're backups because they're flawed. Butera can't hit; Rodriguez is broken down but hanging on in pursuit of 3,000 hits; Ryan Doumit is a defensive butcher. Catchers one can rely on to handle the job for a full season are relatively rare and priced accordingly. Rod Barajas, for example. Christensen had named him early on as a possible target for the Twins, and he's not a particularly outstanding player. He's 36, and he hit .230/.287/.430 last season for the Dodgers in 99 games. He got $4 million from the Pirates to be their No. 1 backstop. The Twins are not, and should not be, eager to spend that much on somebody they hope doesn't get 150 at-bats. If they're going to spend that kind of money, it ought to be on somebody they can still use if Mauer bounces back. Somebody like Doumit. The Twins haven't had a lot of dealings with Boras over the years, and when they have it's generally been situations in which Boras has little leverage. I can only think of three Twins-Boras encounters in more than 25 years. Kyle Lohse is and was a Boras client; he's the only Twins player to go to an arbitration hearing since Andy MacPhail became the Minnesota general manager back in 1986. Veritek was a Twins draftee in 1993 and, with Boras as his "advisor" (a legal fiction designed to placate the NCAA), declined to sign. And the Twins scooped up Kenny Rogers after training camps opened in 2003 when they decided they needed a veteran to fill out their rotation and Rogers was still looking for a job. This is another situation in which Boras' clients probably need the Twins more than the Twins need the Boras clienst. I can't help but wonder how he'd handle a situation in which the Twins (or somebody else) effectively say, We'll take either of them -- whichever costs less. Does he take the bird in the hand for Pudge, or for Veritek? 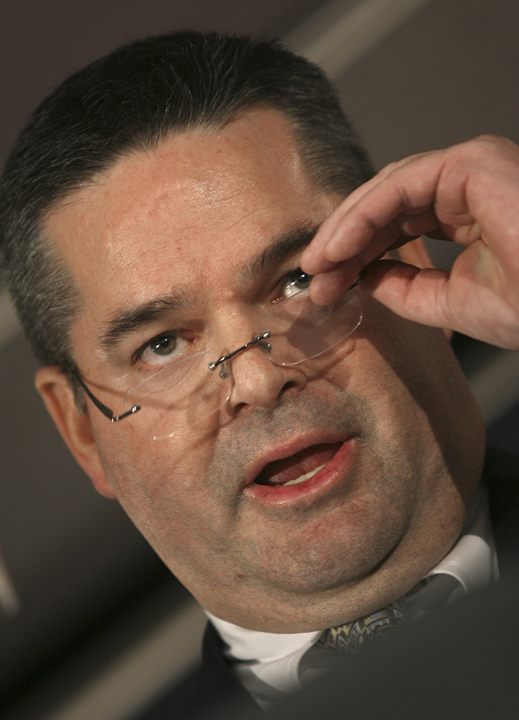 Does he seek a bigger payout for Pudge, or for Veritek? There is a potential here for a conflict of interest. Whether or not they deal with Boras this winter in their search for a catcher, Boras looms over this summer's amateur draft. The Twins have the No. 2 pick in June, and Boras is likely to be the advisor to a good portion of the likely top picks. Be it by luck or design, the Twins haven't had draft day collisions with Boras for some time. That may well change come June, and may remind Ryan of why he wanted out of the general manager's gig four years ago. That's the single most important number connected to Jamey Carroll, the well-traveled infielder who is reported to have agreed to a two-year contract with the Twins for up to $7 million. The signing is not yet official, but the Twins aren't denying it. Carroll turns 38 in February, and his age is a huge red flag if the Twins indeed intend to make him their regular shortstop. Go through baseball history, and you'll find that only the very best shortstops remain at the position into their late 30s -- men like Honus Wagner, Luis Aparicio, Omar Vizquel. Everybody loses a bit of range as they age. If the player isn't the kind who wins Gold Gloves automatically in his 20s, he won't have enough range for shortstop in his late 30s. He changes position (if he has enough bat to be useful at third base or second base) or finds a new occupation. Jamey Carroll ain't Luis Aparicio. He has never even been a regular shortstop in the majors. And now he's going to be one at age 38? Really? Carroll got tagged early in his career as a utility infielder, probably because he came up in the Montreal organization at the same time as Orlando Cabrera, and the O-Cab was a good defender and had more power. (Cabrera, incidentally, is both younger than Carroll and apparently finished as a major league shortstop.) Carroll has gotten more playing time as he has aged and found different teams to play for. Carroll wouldn't be the first man to get the utility label only to emerge later as a regular shortstop. Marco Scutaro comes quickly to mind. But Scutaro got his shot at short at age 33, five years younger than Carroll will be. Now, Carroll almost certainly represents a step up from Trevor Plouffe or Tsuyoshi Nishioka, but that speaks more to the difficulties the 2011 Twins had in turning outs into outs. It doesn't make him a solution. Carroll spent most of 2010-111 playing second base for the Dodgers, with some shortstop tossed in, and -- granted the Twins don't buy into the defensive metrics -- the best one can say for him there is that he was fairly average. Baseball Info Systems' plus/minus metric for the year ranks him as the worst second baseman in the majors (-12), and its runs saved stat isn't much better (-9). Both scores are considerably worse than in 2010. Carroll doesn't make a lot of errors, and he's likely to make the routine plays -- turn outs into outs. He's far less likely to turn hits into outs. You can win with that kind of shortstop. The Yankees and Tigers, with Derek Jeter and Jhonny Peralta, did so last season. But it helped both the Yankees and Tigers that they had high-octane starting pitchers, who got plenty of strikeouts and limited the number of balls in play. The Twins do not, and will not in 2012, have that kind of staff. I don't see Carroll as a true fix for the position. Ten years ago, maybe. Today, I think, he's too little too late to solve much of anything with the defense. Bill Smith didn't lead the Twins deeper into sabermetrics. The Twins have a reputation for leaning far more heavily on traditional tools scouting than on new-wave statistical analysis. Terry Ryan, the once and current general manager, wishes to dispute that to a degree (at least in a Jim Souhan interview/column last week; no link because of the StarTribune's paywall), but I'm not completely buying it. Defense is a difficult thing to quantify. And sometimes, what the statistic says about range, your eyes don't agree with. Yeah. 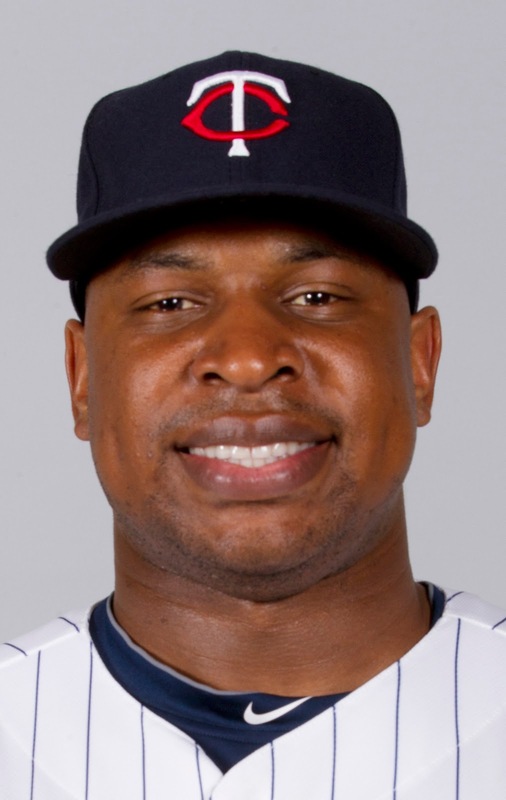 Like Delmon Young's suddenly solid scores in last season's Twins tenure. But I don't think it helps the Twins to operate in ignorance of the metrics either. In that regard, I look at the infield portion of the much-reviled Matt Garza-Young trade (made by Bill Smith soon after he became general manager). I've always, and simplistically, viewed the deal as three swaps: Garza for Young; Jason Bartlett for Brendan Harris; Eduardo Morlan for Jason Pridie. First-round pick for first-round pick, shortstop for shortstop, minor leaguer for minor leaguer. Viewed that way, the Twins and Rays were basically even on the first and third parts. The Rays won the shortstop part, won it huge, and I think it was because the Twins (and specifically Ron Gardenhire) undervalued Bartlett's defense and didn't fully understand Harris' defensive limitations. The Rays were, and remain, more attuned to the metrics. The same problem may be revealing itself in the rumored but not-yet-confirmed signing of Jamey Carroll with the intent of making him the regular shortstop. The metrics offer some red flags. Ryan told Souhan that the Twins are more aware of the stats than they were two years ago, far more aware than they were 10 years ago. Perhaps. But in several ways -- the decision, for example, to commit long-term dollars to Nick Blackburn -- they show themselves to be not only behind much of the rest of baseball in the stats field, but oblivious to some of the most basic findings of the world opened by Bill James. One can understand the reluctance of a skilled eyeball scout -- and Ryan is certainly that -- to embrace a line of thought that often is depicted as demeaning to his trade. Nobody wants to see his work devalued. Smith, on the other hand, doesn't have the scouting background of Ryan and Mike Radcliff. His failure to more fully grasp the implications of statistical research represents a missed opportunity for the franchise. Two open eyes will see more than one. A scout comes out to the family farm in North Carolina looking for Virgil. Daddy Trucks tells the scout his son is in the woods hunting squirrels. The scout walks down the path into the woods and finds the younger Trucks with a collection of dead squirrels -- sees the kid throw a rock at a squirrel, hitting it in the head and adding it to the collection. The scout is understandably impressed. What a talent! What an arm! He and Virgil go back to the farm, and the scout makes his pitch. "Your son," he tells the senior Trucks, "can be the greatest left-handed pitcher in history." The senior Trucks shakes his head. "He's right-handed," he tells the scout. "Can't be," the baseball guy says. "I saw him hit a squirrel with a rock, and he was throwing left-handed." "Yep," daddy says. "When he throws right-handed, he messes 'em up so bad we can't eat 'em." Word all over the Internet Friday night had the Twins and infielder Jamey Carroll agreeing to a two-year deal totalling $7 million, with the intent of making the veteran the shortstop. I'll wait to dig into Carroll until the Twins (a) confirm the signing and (b) explain how they intend to use him. Wilson Ramos is alive and free in Venezuela. Wilson Ramos, the kidnapped catcher for the Washington Nationals and sore spot for critics of Bill Smith, was rescued from his abductors Friday in Venezuela. That's very good news, but the damage done to baseball in Venezuela -- not only by this high-profile case but by other crimes as well -- may be irreparable. The story of Twins outfielder Joe Benson, robbed at gunpoint almost immediately upon leaving the airport, is hardly unique. Where once almost every major league team had a full-time academy operating in that country, now there are just five. There are 81 active major leaguers from Venezuela, and more minor leaguers than that pursuing the dream. But it's becoming increasingly risky to scout for players there -- and increasingly risky to be a player there. It's not a healthy situation by any means. the 1984 All Star game in San Francisco. Charlie Lea, former major league pitcher who ended his career with the Twins in 1988, died Friday. Fans of a certain age are more likely to remember Lea as a member of the Montreal Expos, for whom he had five good to decent years, including an All-Star appearance. Then he was beset by arm injuries. He went 7-7 with a 4.85 ERA for the Twins in his one season in Minnesota, and I remember him because it sure seemed like I was at every one of his Metrodome starts. I had a partial season ticket package back then -- 26 games, including every Saturday, every Monday, and day games during the week. (The Free Press was an afternoon paper in that bygone era, with no Sunday paper.) The luck of the rotation meant that I saw Frank Viola, who won the Cy Young, twice all season, but drew Lea far too often. He had been a good pitcher once, but that time was past. outside the ballpark for the kidnapped Wilson Ramos. We're almost two full days into the abduction of former Twins catcher Wilson Ramos, and the news is ... nothing. I have a bad sense about this the longer it goes on. Here's a good Tom Powers (Pioneer Press) column on the Twins and their dwindling connections to Venezuela. two months for him to return. The Twins used the disabled list 27 times in 2011, a figure that actually understates the problems they had with injuries, illnesses and getting players back on the field. Of their projected starting lineup at the start of the season, only Danny Valencia and Michael Cuddyer avoided the DL, and Cuddyer almost certainly would have gone on the DL if not for the roster expansion that accompanies September. Of the projected starting rotation, only Carl Pavano stayed healthy all season. It wasn't just last year, and it wasn't just injuries. Rehabs seemed to stretch out forever. J.J. Hardy implied late in the season that the Baltimore Orioles medical crew solved a wrist problem that bedeviled him all of 2010. The ins and outs of the Joe Mauer saga remain veiled from outsiders, but it appears to have begun with a decision early in the 2010 offseason to try to avoid surgery on his troubled knee, followed by surgery late in December and a rushed rehab. Publicly, Bill Smith appeared to brush the problem off. The injuries, he said at season's end, were largely "collision injuries," and there's not much one can do about them. He defended the medical and training staff. And as for the curious public statements about Mauer — statements that opened the Twins' most important player to mockery from certain media personalities with high-profile platforms — he said only: That's in the past. What a general manager says for public consumption and what he says and does in-house are often two different things, of course, but the contrast between Smith's end-of-the-year take and Terry Ryan's is rather stark. "We had a tough year in medical. We had a tough year in a lot of areas. Not only up here, but right through the system. We need to do some tweaking at the very least there. When it comes to communication, there are areas there that need to be addressed, and I plan on doing that. I know Bill was in the process of doing that up until last week. He was worried about it, and I'm worried about it." "I think when everybody started to get concerned was the rehab time and how long after a sprained ankle it took to get back on the field. I'm aware of that and I have to talk to our medical people to get a better account of exactly why and some of the decisions that were made." Ryan says Smith was acting on the problems. Maybe so. If so, he wasn't open about it, or even admitting there was an issue. 23 percent of the Twins projected 2012 payroll. Bill Smith inherited the Twins general manager's job after the 2007 season, when the team was still confined to the Metrodome and the payroll cramped accordingly. The move to Target Field for the 2010 season loosened the purse strings. Last season the payroll blossomed to an estimated $115 -- more than $40 million higher than Terry Ryan ever had to work with in his first go-around. Ryan threw out on Monday a $100 million figure for the 2012 payroll. It always figured to be somewhat lower in 2012 than in 2011, since the Twins had made it known almost immediately after signing Carl Pavano that the Pohlad brothers had to sign off on busting the budget to bring him back. But if the payroll was within budget before Pavano signed for $8 million and over budget after, it seems the targeted budget was around $110 million, not $100 million. To be sure, team president Dave St. Peter told the Star Tribune that he and Ryan had not discussed the payroll budget, and the $100 million figure may be a target, not a hard ceiling. We'll see how the winter plays out. There are also three arbitration-eligible players -- Glen Perkins, Alexi Casilla and Jose Mijares -- who figure to combine for $3.9 million in 2012. 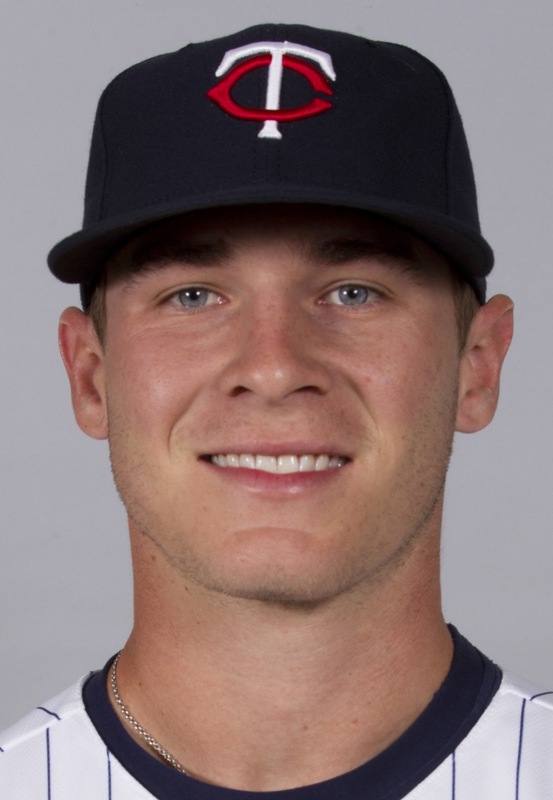 (I'm not including Kevin Slowey, because I would expect the Twins to decline to offer him a contract if he's still on the roster when that deadline arrives.) That pushes the payroll over $67 million for 10 players -- and there are sizable question marks, mostly health related, about almost all of them. Looking at the list of contracts, the one that strikes me most as a clear mistake is Blackburn. As a low-strikeout pitcher, he was and remains a bad bet to be worth a long-term commitment. The Mauer deal was always a major risk, but it was a risk that had to be taken when it was taken. Jim Pohlad told the Pioneer Press after the Smith firing that he would approve the contract again. Nobody imagined when Morneau signed his deal before the 2008 season that he'd have three straight injury-shortened seasons, much less a chronic concussion problem. The Nishioka signing looks like a bust now, but it was logical enough at the time. If the Twins are cramped for payroll space, it's because Mauer and Morneau combine for 38 percent of the projected payroll. Given the importance of both players, I don't blame Smith for those deals. Blackburn was a mistake, Nishioka may be a mistake. I was never thrilled with the Pavano deal, but (so far) the Twins have gotten a return on the investment. If they were the "dumbest" contracts Smith issued, he did a far better job in that department than a number of other GMs. 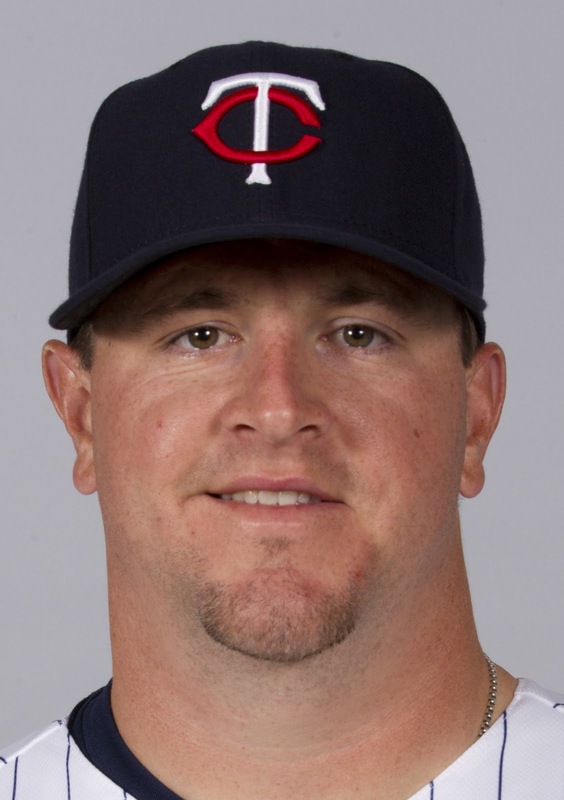 Wilson Ramos, the catching prospect the Twins traded during the 2010 season for Matt Capps, was kidnapped today in his native Venezuela. Obviously, this is not a good thing for Ramos, the Washington Nationals (his current club) or for the myriad major league players who live, are playing winter ball or have family in Venezuela. The Twins have long been active in Venezuela, but, as Seth Stohs notes, they've pulled back some in recent years because of the violence (and, I assume, the anti-U.S. politics of Hugo Chavez). I'm not sure exactly who the Twins have playing winter ball there this year, but I'm sure there are several prospects. Addendum: LaVelle Neal a while back list the Twins prospects (and major leaguers) slated to play winter ball. A dozen of them were to play in Venezuela, including Jose Mijares, Joe Benson and Rene Tosoni. Players come and go from winter teams, and I have no idea who exactly is there. Mijares, like Ramos, is from Venezuela. In the immediate wake of the Twins front office shakeup, White Sox blogger Jim Margalus (South Side Sox, linked to on the sidebar) noted that in Bill Smith's four years at the helm the Twins won two divisional titles and missed a third by the most slender of margins. "Contrast that to Kenny Williams, who has been to the postseason twice in his 11 years on the job, and man, Jerry Reinsdorf's patience seems endless." Of course, Smith's fourth season was a doozy. Margalus' critique of the Smith era focuses, as does that of many (most?) Twins fans, on the big trades Smith made and (mostly) lost. But those who judge a general manager on that basis alone are missing out on large swaths of the job, and the indictment against Smith — the problems that ultimately cost him his job — is deeper and more varied. He failed to expand the organization's player evaluation from its expertise in traditional scouting to include sophisticated statistical analysis. In coming days, I intend to examine each of these complaints against Smith (not necessarily in that order, and not necessarily consecutively). It is, however, valuable to remember that these are not necessarily failures of an individual, but collective failures by the organization. Smith takes the blame for the team's problems because he was the man on top of the pile. At the peak of the Terry Ryan era, when it seemed the entire world of baseball media was anointing him as the bestest general manager in the game, Ryan himself was quick to deflect the credit to the men around him -- people like Mike Radcliff (then director of scouting); Jim Rantz (farm director); Ron Gardenhire (field manager); and Bill Smith (assistant general manager). Some of the titles changed, but the same people were still around in 2011.
best starter in 2011 (4-7, 4.26). We interrupt our musings on the Twins front office shakeup to comment on a trade made Monday: The Kansas City Royals sent outfielder Melky Cabrera to San Francisco for starter Jonathan Sanchez and minor league lefty Ryan Verdugo. This is of interest to Twins fans not only because the Royals are in their division, but because it suggests what the trade market looks like for starting pitchers, in particular starting pitchers who get strikeouts — which is the kind of starting pitcher the Twins could use more of. Cabrera had a big year for Kansas City: .305/.339/470 while playing center field. His OPS+ — a stat that adjusts on base-plus-slugging for home field bias — was equal to Michael Cuddyer's. This was easily Cabrera's best season, and he's not particularly likely to replicate it, but his value was probably at its peak. And what the Royals got for him is a power arm who led the league in walks in 2010, who made just 19 starts because of injury in 2011, who walked almost six men per nine inning when he did pitch, and who is eligible for free agency after 2012. Sanchez finds sufficient command and health to be effective, in which case he's likely to be overpriced for Kansas City. There's not much long-term upside for the Royals in this exchange, and yet he was worth giving up one of their better hitters. on his title, but his superiors are hoping he's back for years. One of the initial takes Monday on the return of Terry Ryan as the Twins general manager was the sense of 'We're bringing the band back together." Not only is Ryan back atop the baseball hierarchy, but Wayne Krivsky, who had been Ryan's No. 2, is returning to the organization. It's not precisely the same bunch in the same jobs as a decade ago, when the Twins began a long stretch as the dominant franchise in their division, but it's close. And the needs and status of the club have changed. Target Field has lifted the Twins to baseball's middle class. Ryan indicated that the 2012 payroll will be around $100 million, which is (a) considerably more than he had to play with in his first go-around as GM and (b) some $15 million less than Bill Smith had for a payroll in 2011. A whopping chunk of that $100 million is dedicated to Joe Mauer and Justin Morneau, and the Twins have about $82 million already committed. Having $18 million available to fill out the roster almost certainly means Michael Cuddyer, Joe Nathan and Jason Kubel will get more lucrative offers elsewhere. That may prove, in the long haul, to be a blessing, but in the short term it makes the job of improving the team more difficult. 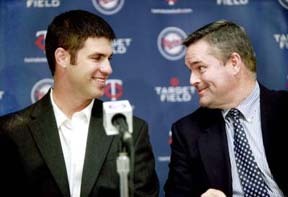 I've said repeatedly that the first key to 2012 is the health of Mauer and Morneau. If the M&M Boys are as unproductive as they were in 2011, nothing else matters. The front office shuffle doesn't change that fact. It may bring change to how conditioning, rehab and treatment are handled. Smith was publicly protective of the medical staff, at times oddly so, even as projected returns for injured players were consistently erroneous and even as that staff seemed sometimes to go out of its way to make players, Mauer in particular, look bad. Ryan on Monday took note of the problem getting injured players back on the field. Recognizing the problem is the first step in fixing it. Terry Ryan is back in charge of the Minnesota Twins on-field product, at least for now; Bill Smith's future with the club is uncertain, but he isn't the general manager anymore. Verrry interesting, given that Jim Pohlad had implied that the 2011 disaster was not sufficient reason to clean the organizational house -- an assessment with which I largely agreed. So what changed? The Twins' goal is to get better in 2012 and beyond. Bill was equally motivated to achieve that goal but we differed in the scope and approach that was required. I infer from that portion of Pohlad's statement that there was division within the organization over where the club stands. Are they realistic contenders in 2012, or is it time to tear it down and rebuild? If the former, it's reason to bid heavily to retain Michael Cuddyer; if the latter, it's reason to wish him well and move on (Cuddyer being one concrete example of how that abstract question applies to the immediate offseason). I don't know where Smith stood on that basic question. We'll see as the winter progresses what the operating consensus is. Perhaps more pertinent: I don't know, not being a fly on the wall, how the player evaluation process worked with a GM who was more an administrator than a scout. The talent evaluators around Smith -- in particular Ryan, Mike Radcliff, Tom Kelly, the already-departed Joe McIlvane -- were by and large the same people evaluating players when Ryan was on top of the heap. I doubt everybody involved agreed on every move, and perhaps -- perhaps -- there was a growing sense/realization that Smith was consistently making the wrong choice when confronted with diverging opinions. One other thought about Monday's move: That Ryan is being described as "interim" general manager suggests that he's not truly invested in getting back into the job. I wonder if the pending return of Wayne Krivsky -- who, as I said during the weekend, probably would have been Ryan's successor after the 2007 season had he not already taken the Cincinnati job -- is intended to get him familiar once more with the Twins organization before turning the reins over to him. Another in-house possibility would be Radcliff, who was blocked from interviewing for the Orioles job. But if the intent is to make Radcliff the top dog, there was probably no need to install an interim GM.